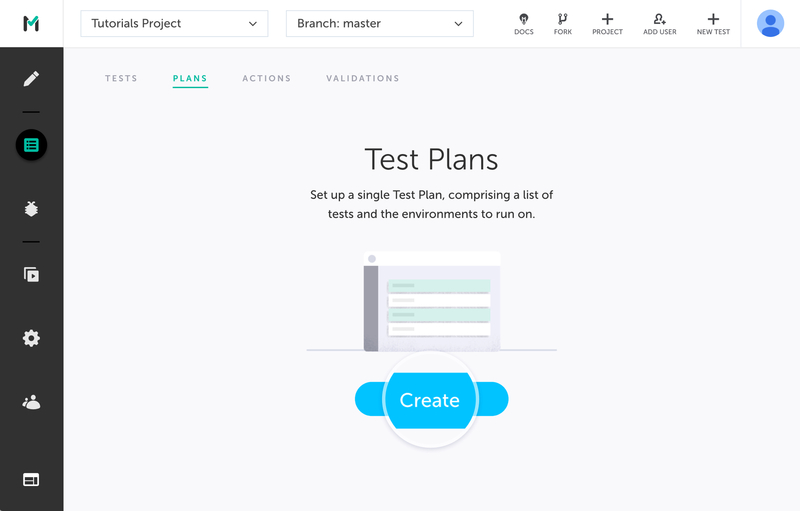 Set up your environment before your tests execute. Clean up your environment after your tests execute. Run your tests on several browsers and operating systems. Navigate to "Automate", and then to "Plans" tab. Add Name and Description to your plan. Test List: Add the main tests you want to run by choosing one of the labels you have. Setup: Check the "add before all" checkbox and add the setup tests you want to run, also by their label. Teardown: Check the "add after all" checkbox and add the teardown tests you want by their label. The tests in Test list WON'T be executed if one of the "before all" tests failed. The tests in "after all" will always run even if tests in Test list failed. The tests in "Before all" and "After all" will always run in parallel 1. Only the "Test List" can run higher parallel if it is set in the CLI. Choose the grid you would like to execute your tests on. read here how to set up your grid. Override default configuration: Set which Browsers, Operating Systems, and resolutions to run your tests on. Choose from your list of configurations or set a new one. If not checked, each test will run with its default configuration (created alongside the test). Override Start URL: Set the start URL of your web app (e.g. production or staging environment). Note: If you add a different grid name to the CLI, it overrides the grid defined in the plan. When you use a plan you can share parameters between tests e.g. create an account in the setup and use those credentials throughout all tests. You can read more on the exportsGlobal parameter in the parameter guide.